Elderberries for Colds: Fact or Fiction? As a physician, it’s frustrating to see patients with a virus and not be able to offer any help. I’m sure it’s just as frustrating for my patients who don’t have time to be sick. 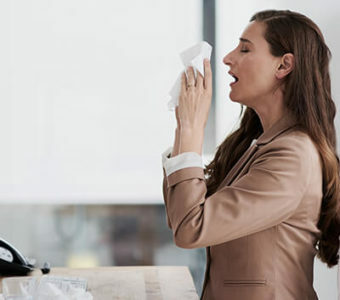 But whether it’s the common cold or the dreaded flu virus, I usually have to tell patients that the only thing they can do is rest, hydrate and take over-the-counter medications to alleviate symptoms … until now. A not-so-new, but promising treatment may decrease the duration of a virus’ symptoms or prevent you from getting sick altogether. The magic elixir? Elderberries! Elderberries may be hard to come by in your supermarket, but they have been used for medicinal purposes for years. They have antiviral properties, can lower cholesterol, improve vision, boost your immune system and improve heart health. The elderberry was even used to treat a flu epidemic in Panama in 1995! Elderberries inhibit viral replication, so taking them can theoretically prevent an infection or at least decrease its spread in our bodies, if it is caught early enough. Studies have shown increased influenza antibodies in those taking the berry, which is encouraging. In 2004, the Journal of International Medical Research published a study of 60 patients with confirmed influenza A and B who were infected for less than 48 hours. When given 15 milliliters of elderberry syrup four times a day, the duration of their symptoms decreased by four days! That’s three days more than the prescription antiviral, Tamiflu, which has only been shown to decrease the duration of flu symptoms by 24 hours. Another study, published in 2016 in Nutrients, a scientific, peer-reviewed journal, looked at cold symptoms in more than 300 airline passengers. They found that the passengers who took elderberry had less severe symptoms and for a shorter duration than those in the placebo group. A new clinical trial is underway, expected to be complete in spring 2020, that is studying patients with confirmed influenza and the effect of elderberry syrup on the virus’ duration and severity of symptoms. It will be exciting to see the results. Despite the evidence, experts do agree that we need more studies with larger numbers of participants to definitively prove elderberry is a reliable treatment for cold and flu viruses. In my practice, I recommend that patients weigh the risks and benefits of any treatment. If elderberries may help (and most likely do), then what are the risks? Raw elderberries can cause nausea and diarrhea, so they need to be prepared. You can prepare a tincture or syrup in your own kitchen, or you can find one online. Adults can take ½–1 tablespoon daily to prevent illness, or ½–1 tablespoon every two to three hours if diagnosed with the flu or a cold. You can also buy elderberry capsules or lozenges. Add ½ cup of elderberries and 1 tablespoon of fresh, grated ginger to 1 ½ quarts of water. Boil for 20 minutes, then place the mixture in an airtight glass jar. Remove the stalks and cook the berries in sugar water, then strain. Reduce the berries by boiling them in water until they reach a syrupy consistency. Eat it plain or throw it in a smoothie! You can keep tinctures and syrups for two to three months in the refrigerator. Remember, while elderberry may help some patients, it is important to always seek advice from your physician before taking any kind of supplement. They can help you decide if it is a good treatment option for you by taking into consideration any other conditions you may have. That said, I think it is worthwhile to consider asking your providers about elderberry as a treatment alternative to antiviral prescriptions. You might save yourself a few dollars, some gastrointestinal upset and get back on your feet a few days sooner! 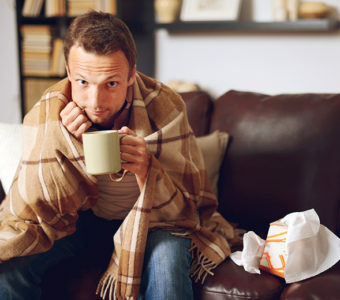 Find out how to tell a cold from the flu along with more wellness tips on the OhioHealth Blog. Dr. Weston is board-certified in both sports medicine and family medicine. She’s currently in the process of obtaining her certification in Functional Medicine. Dr. Weston has also served as the team physician for the University of Oklahoma women’s soccer, basketball and softball teams. 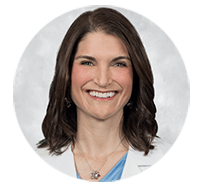 Dr. Weston’s interests include preventive, wellness and sick care for all ages, with a special interest in women’s health and nutrition. She also blogs at Revive Your Health.